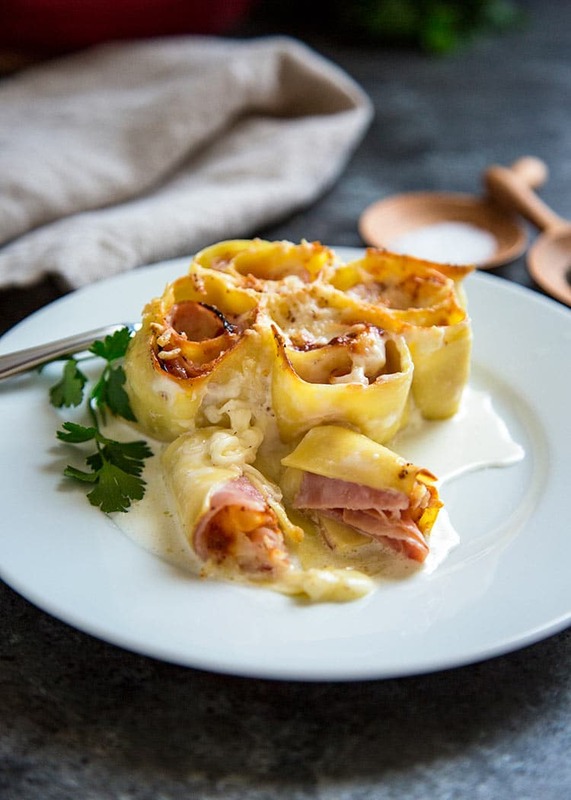 When time is crunched and you want a little Italian comfort food, these Ham and Cheese Pasta Rosettes are for you. It couldn’t be easier to put together and bakes in 20 minutes. This is ridiculously easy to make and with minimal ingredients used, happens to deliver big time flavor. I use fresh pasta sheets you can pick up in the refrigerated cheese and fresh pasta section of the market. I use ones that don’t need cooking and are ready to use. With some fresh deli sliced ham, fontina or provolone cheese you layer and roll up. Slice and put in a baking dish. Cream gets poured over, a sprinkling of nutmeg and cheese and in the oven it goes to bake. For a recipe this easy, I love what ends up getting served on the table. 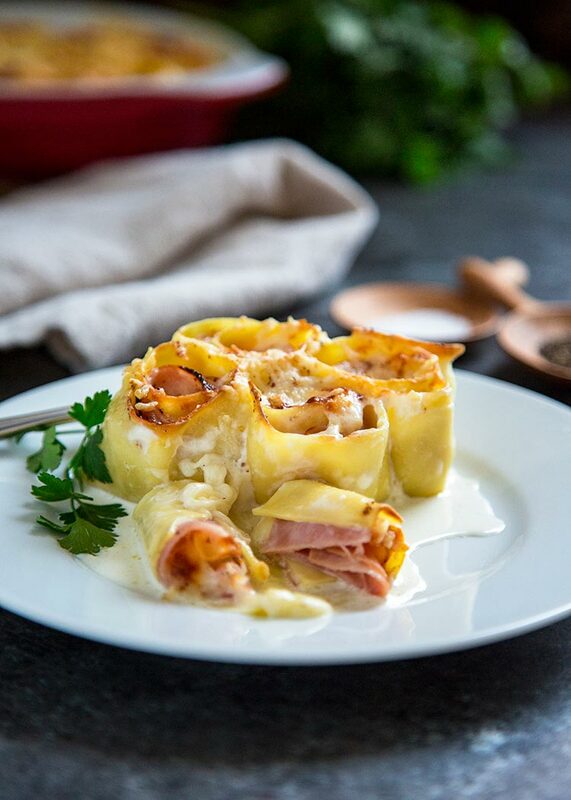 A delicate, warm and cheesy pasta filled with slices of ham and cheese all covered in a wonderful cream sauce that thickens as it reduces in the oven. The nutmeg nuance and cheesy goodness are too good to pass up. If you’re in a pasta kind of mood try my Chicken Tortellini Dijon Alfredo, Browned Butter Pasta with Grilled Sausages or my Creamy Pesto Chicken Pasta. Whether it’s for lunch or serve with a side salad and dinner is done. Enjoy! 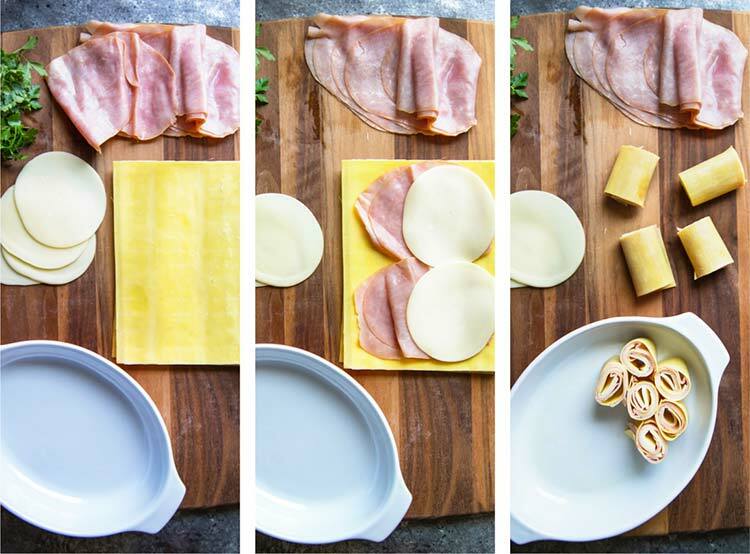 These start with fresh pasta sheets, sliced ham, fontina or provolone cheese. 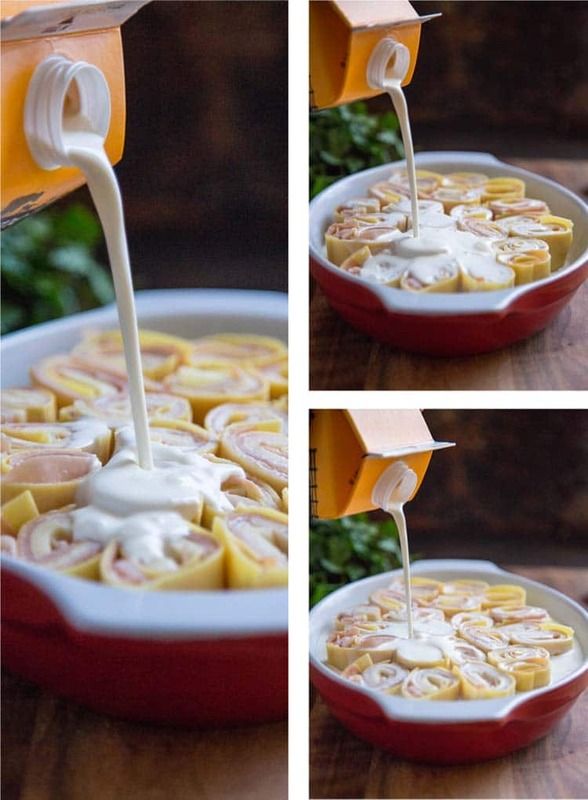 Roll up, cover with with cream and nutmeg and bake! Preheat oven to 450°F. Coat a baking dish with cooking spray. Layer 4 slices of ham on each oven-ready lasagne sheet and top with 2 slices of provolone cheese. Roll up and slice each roll into thirds and each third in half (6 sliced rolls total for each pasta sheet). Place each cut roll vertically and repeat to fill baking dish. 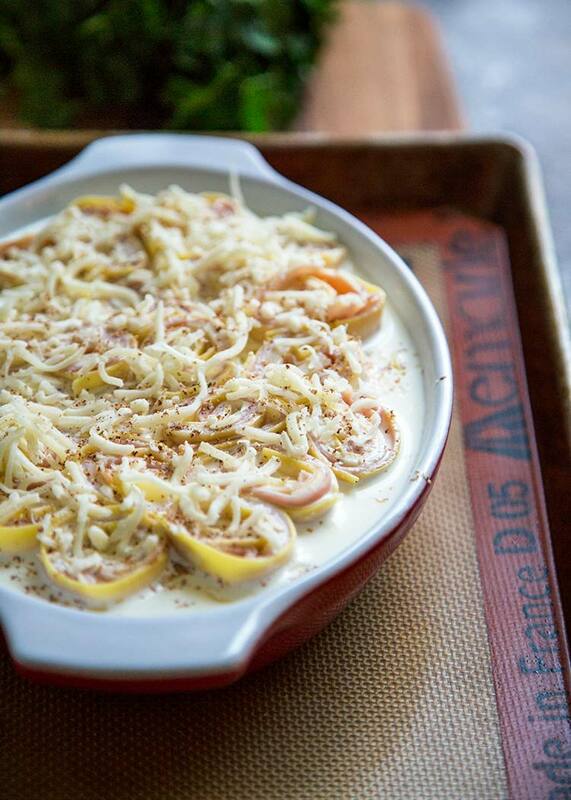 Cover with cream, nutmeg and cheese of choice. Bake for 20 minutes until golden and bubbling. Cream will reduce and thicken. Serve and spoon sauce over, top with chopped parsley garnish (optional). 1. I used Rana fresh pasta sheets that are oven-ready lasagne sheets NOT uncooked lasagna noodles. You can pick these up in the refrigerated cheese and fresh pasta section of the market. Hello Kevin! What do you think about lightening this up a little? Would it work with half and half instead of cream? I have not tried that myself so I do not know. My thoughts in using the cream is a richer, thicker sauce. With half and half, it has less fat so it might take longer to reduce and then the pasta would be over cooked? What a unique way of treating lasagna sheets! Why not indeed? It looks great, modern, and the combo of the flavors is simple yet delicious. Perfect comfort dish. Plus this is super easy to put together Ben, thanks! Genius! It does look fiendishly simple, and yet I’ve no doubt it’s delectable. In fact, it looks like the kind of thing that, once I’d made it, I’d find myself eating the leftovers morning, noon, and night. These look totally delicious Kevin! What an awesome, quick comfort food meal! Thanks Mary Ann, it is a beauty and so easy, too. So simple and easy! They’re like upright cannelloni in a beautiful bath of cream. Great idea! That sprinkling of the nutmeg in the cream really is a nuanced favorite flavor combination. Thanks John! 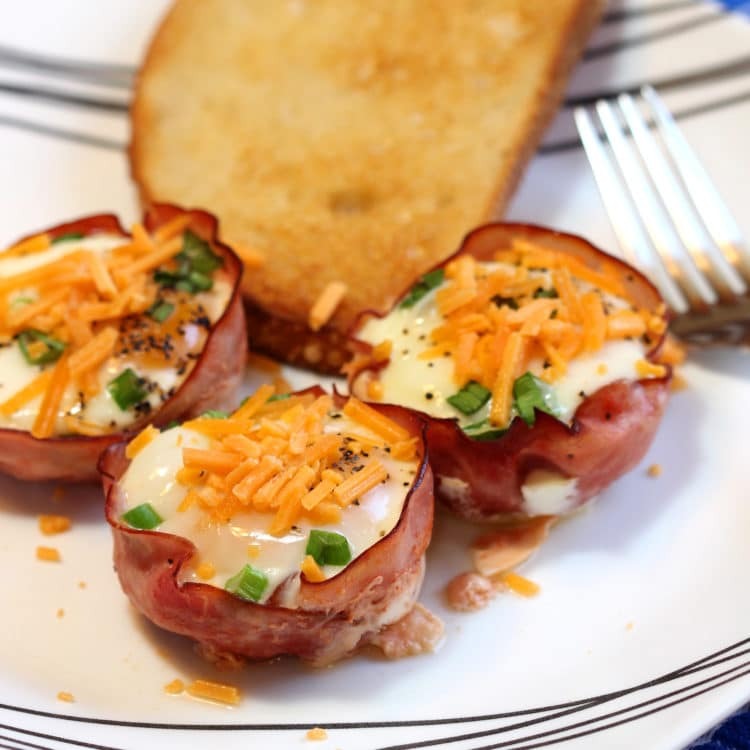 So easy to make – yet they looks so beautiful, Kevin! Gorgeous comfort food for those cold wintery months! Thanks so much Miriam! This and a salad is a perfect dinner to me! Well this is a perfect dish! I’m a little biased when it comes to Italian cooking, but boy – this covers all the bases! Fresh pasta and bubbling cheese own my heart! This is genius, Kevin! I love how easy, beautiful, and unique this recipe is. And the touch of nutmeg, awesome. I think I’ll have Ryan roll these up with me, what a fun technique. Two thumbs up! Get the whole gang in there rolling and dinner is done in no time. Thanks Sally! I really love this one, hope you enjoy it. What a fun twist on Italian! I’m always looking for a way to include more Italian food in my diet, and I’m thinking these rosettes need a spot. 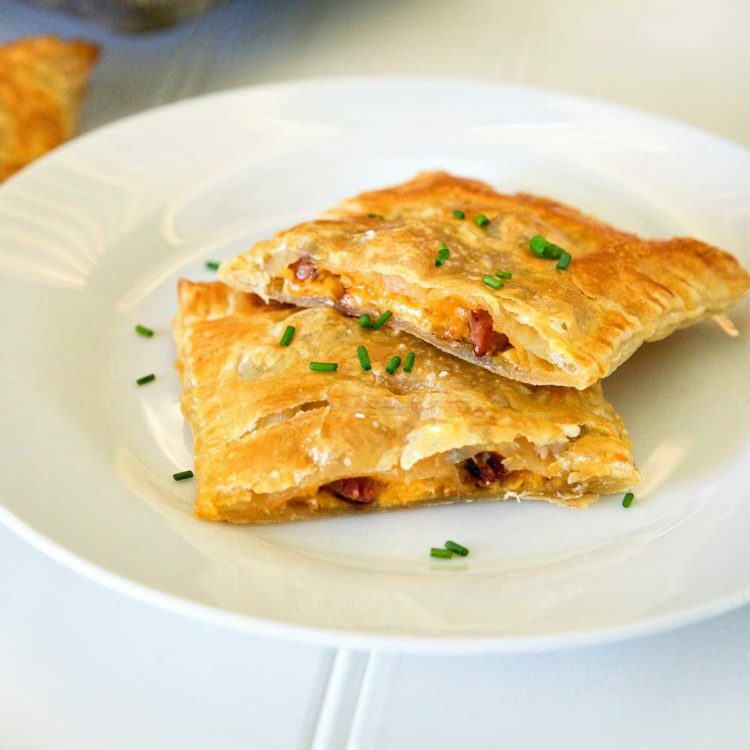 They look delicious…perfect for a weeknight dinner! Thanks Dave, perfect little pasta comfort food right here. Sneak in a salad too and you’re good to go! What a brilliant idea, Kevin! Those pasta sheets are just so convenient. And you really can’t go wrong with nutmeg and cream. 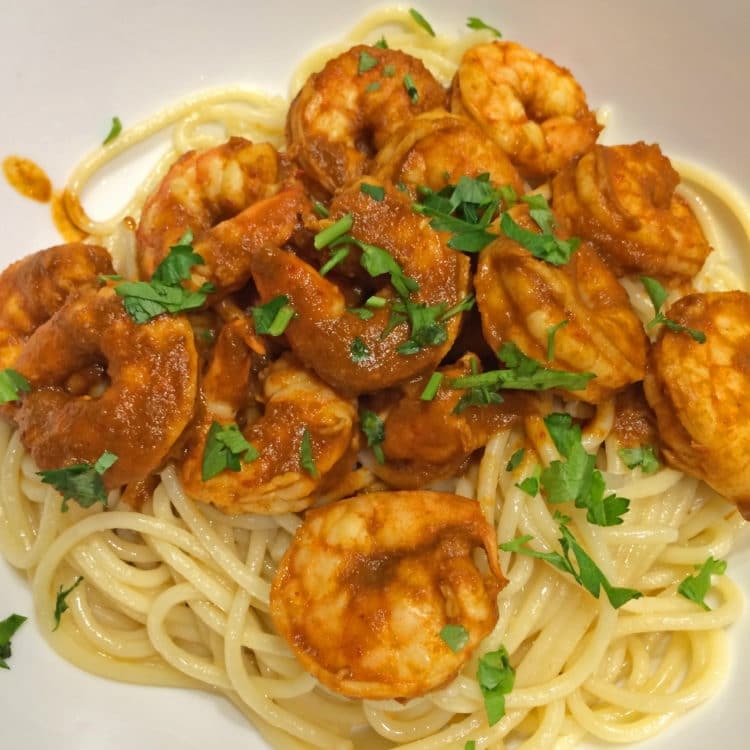 Love that combo…..a little too much 😀 This would make for a lovely weeknight dinner with a nice Caesar salad. Pinned, of course. Hope you’re week is going great, my friend! I love to play around in the kitchen with those pasta sheets, so cool! So glad we are kindred spirits in the cream and nutmeg combo, it is so subtle, yet so delicious!